Purchasing a large piece of equipment for your property’s water feature is a big decision. While many spend a good deal of time in the pre-purchase process, few take the time to research the post-purchase steps that you really should complete. Namely, you need to register your purchase and ensure you have a copy of the corresponding product manual. At Arbrux, we offer a wide range of equipment that can be added to your property. 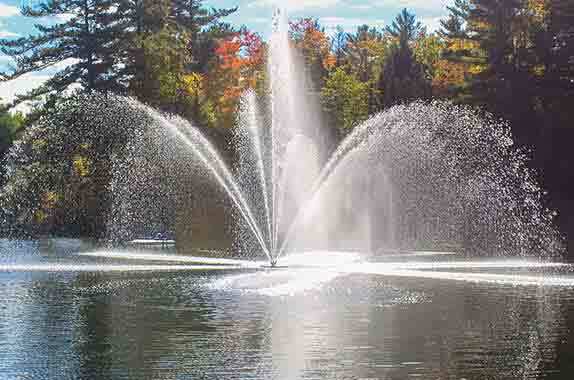 Whether you want to install a floating fountain for aesthetics, a floating aerator to add oxygen to your pond, a dock de-icer to prevent winter ice damage, or submersible light fixtures to accent your water feature, each of these products come with a post-purchase process that you need to be aware of. First off, did you fill out the warranty registration card and mail it in? This can be a crucial element in ensuring that your warranty is properly in place and can increase efficiency if you ever need to have your product serviced. Did you keep the manual in a safe place? Product manuals are created to help with troubleshooting, answer any questions that may arise and give you guidance on how to look after your equipment. It is also best to store a copy of your product model and serial number, in case you ever have to call in for assistance. You should keep this information, with your product manual, in a safe and handy place. Most consumers understand that manuals are created to help with product installation. However, it can also assist a great deal during the products life cycle. There is valuable information located in the manual that you will want to have on hand in order to really get the most out of your equipment.